Archive by category "Facility Planning & Design"
Are your pastures developing bare spots where horses are grazing the grass down so short it dies? When grass is grazed too much – below about 3 inches in height – it loses its nutritional quality, and even begins to die. Rotational grazing can help to prevent this, preserving and even improving the quality of your pastures. Is Your Barn’s Electric System A Fire Hazard? How much do you know about the electrical system that’s in your barn right now? Left unchecked or unmaintained, electrical systems can become barn fire hazards. How many of these important tips are you following to keep your electrical system safe and functional? If you want to maximize the safety of the horses and handlers in your barn, there’s no better place to start than by focusing on your barn aisle. Poorly designed barn aisles can be dangerous, but they’re also often fixable. These five tips can help you to create a safer barn aisle. 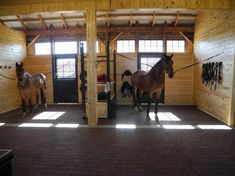 What do you really need for your horse barn? Building a stable for your horses can feel like a monumental task. There are so many designs, many of which we’ve covered here at the blog. 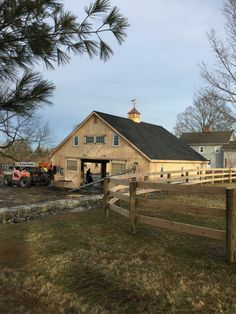 In fact, you’ll find links to our articles on center-aisle barns, raised center-aisle barns, and shed-row barns at the end of this post. But if you’re just starting to plan your horse barn design, we can get you started with some useful questions to consider.